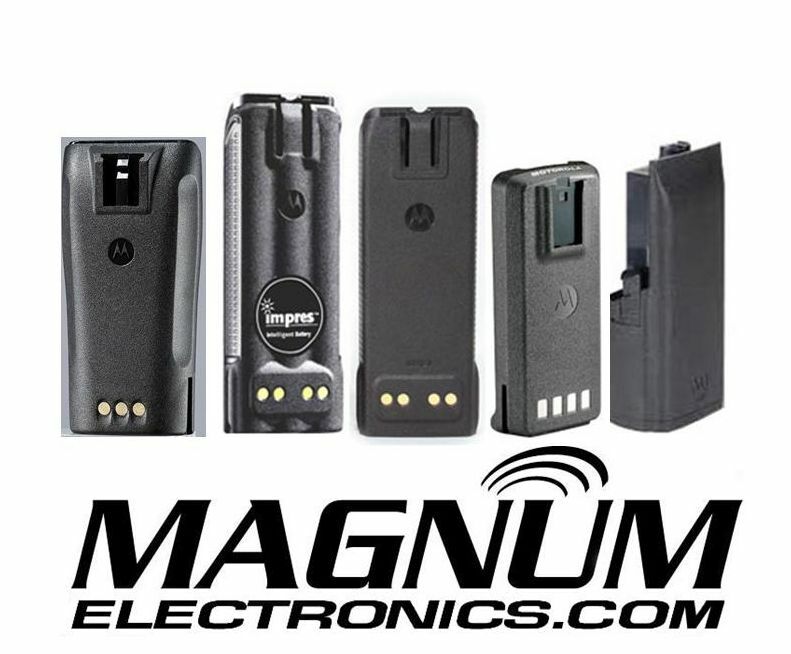 APX | Magnum Electronics, Inc.
We reduced our Motorola IMPRES battery and accessory prices until 3/28/19. Motorola just announced a hefty price increase and the savings are big if you can stock up before April. Below are links to the items with deep discounts and are compatible with Motorola public-safety and enterprise radio models. The PMLN6129 black 2-wire surveillance kit with acoustic tube is available at a significant savings and is the most popular accessory for law enforcement. The beige ZMN6038 with ear hook is also on sale but requires the NNTN7869 Hirose adapter. Speaker-mic users with a 3.5mm receive-only jack can get the RLN4941 acoustic tube earpiece that plugs into the microphone head. There is a big price drop in March on the PMMN4099 remote speaker-mic with volume toggle and emergency button too. It was recently upgraded to a IP68 submersible rating. The PMNN4494 IMPRES 2 5100 mAh high-capacity battery and the NNTN8930 IMPRES 2 intrinsically-safe standard size battery are also on sale until the end of March. Our most popular high-capacity IMPRES battery for the XTS 5000 is the NNTN6034 and is on sale for our March Madness promotion. It is lighter and thinner but has 4,150 mAh capacity. Other XTS compatible batteries with deep discounts include the RNN007, NTN9862, PMNN4093, NNTN4435, NNTN4436, and NNTN4437. The beige ZMN6038 2-wire Surveillance Kit with ear hook is also on sale and requires the NTN8613 audio adapter. You can add an acoustic tube to this kit by adding the RLN6232. Speaker-mic users with a 3.5mm receive-only jack can get the RLN4941 acoustic tube earpiece that plugs into the side of the microphone head. The PMNN4448 (2800 mAh) and the PMNN4493 (3000 mAh) IMPRES batteries are also priced lower during our March Madness sale. 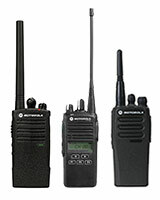 They are compatible with the APX 4000, APX 3000, APX 1000, APX 900 and MOTOTRBO XPR 7000/7000e/3000/3000e series radios. If you need a CSA rated battery for the APX 4000XH, the NNTN8750 has a March price drop too. March is a good time to purchase speaker-microphones for XPR 7000/6000/3000 series radios. The PMMN4050 and PMMN4025 are back on sale for the XPR 7000/6000 and the PMMN4071 for the XPR 3000 is on sale too. The NNTN8459 1-wire surveillance kit with acoustic tube for the XPR 6000, XPR 7000, and XPR 7000e is also discounted until 3/28. We have a few more March surprises the for CP200d, SL300, SL7550 and other radio models so make sure you visit our site often during March. Motorola recently started shipping a new intrinsically-safe TIA 4950 battery for the APX 8000H and APX 8000HXE HAZLOC radio models. The PMNN4547 battery provides 3100 mAh capacity using Li-ion cells and has an improves cold temperature specification. It has a IP68 rating which means it can survive in six feet of water for up to four hours. It also uses IMPRES 2 technology that provides up to 60% more charging cycles as compared to a standard battery. The new battery provides 16% more capacity than the 2,650 mAh NNTN8930 UL model. Because the PMNN4547 is about 3mm deeper, APX 6000 and SRX 2200 users will need to upgrade their carrying accessories. The PMLN7901 plastic carry holder is required to fit the new battery. If you are using the rugged APX 6000XE with larger knobs a PMLN7902 is the correct holster. There are also new APX 6000 leather cases with fixed or swivel belt loops available in our online store. 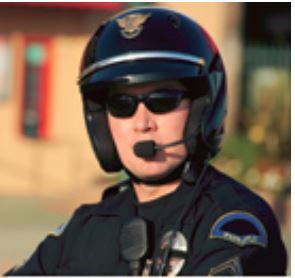 EarPhone Connection, a leader in public-safety audio accessories, has a new low cost headset for motorcycle radio communications. 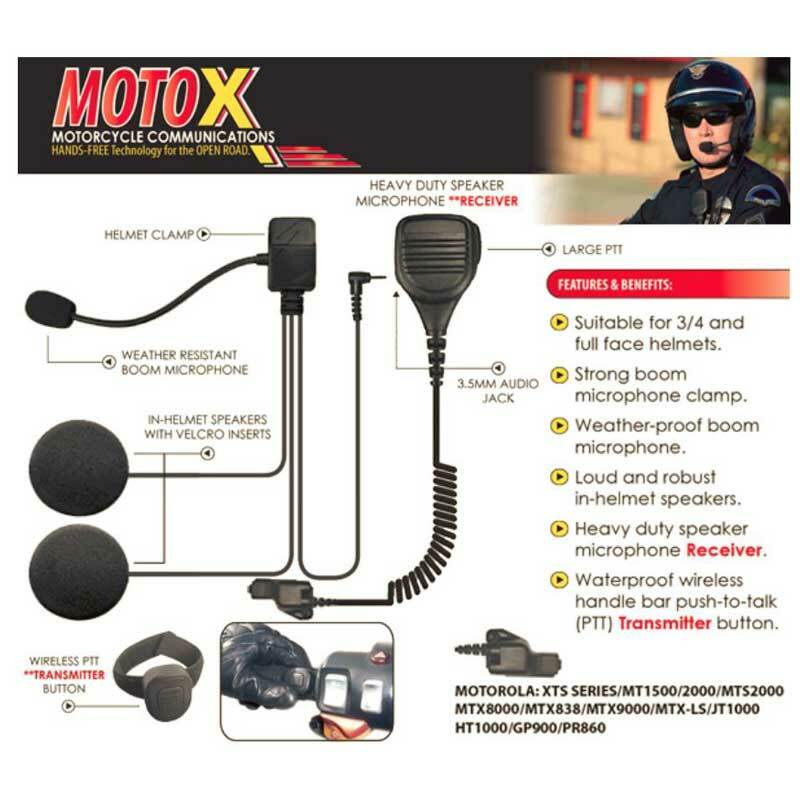 Compatible with hand-held portable 2-way radios, their MotoX kit includes a helmet kit, wireless push-to-talk button for the handlebar, and a unique remote speaker-microphone. The helmet kit works with 3/4 and full-face helmets and includes a noise-cancelling boom microphone. The MotoX-34W is compatible with Motorola APX series, XPR 7000, and XPR 6000 models. 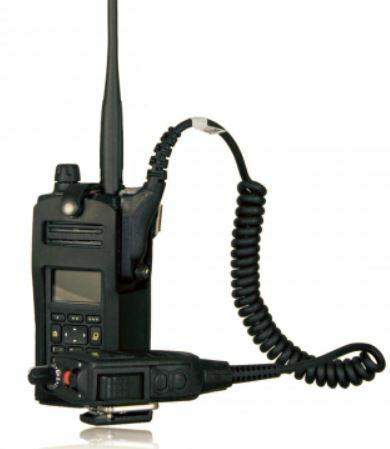 The MotoX-23W is designed for XTS series, PR1500, MT1500, and other radios with Cosmo connectors. Special order kits are also available for Motorola HT750/1250/1550, PR860, and Harris M/A-Com 700P, P7100, P7130, P7150, P7170, P7200, P5100, P5130, and P5150. The unique remote speaker-mic has embedded Bluetooth and pairs with the wireless push-to-talk button that mounts to the handlebar. The mic also has a special 3.5mm jack that connects the audio to helmet speakers and boom mic. When disconnected, it works like a normal speaker-mic. The US Postal Service prohibits shipping bulk Lithium-ion and Lithium-polymer replacement batteries through the mail including to APO/FPO addresses. The rules state only lithium batteries installed in equipment are permitted. FedEx and UPS will accept Lithium batteries if shipped ground. If faster air service is needed there is a dangerous goods fee in addition to the shipping fee. You may want to consider nickel metal hydride (NiMH) batteries. They are not considered hazardous and provide very good performance. 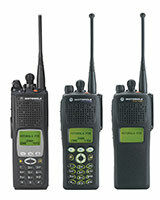 Below is a list of Motorola radios with compatible NiMH batteries. 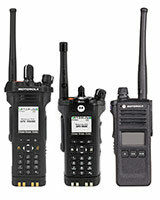 Motorola APX 8000, APX 7000, APX 6000, SRX 2200 can use the NTN7035. It has a IP67 submersible rugged rating, IMPRES automatic conditioning, and 2000 mAh capacity. It is also FM intrinsically-safe rated. There are no USPS APO friendly batteries for the APX 4000, APX 3000, APX 1000, or APX 900 at this time. Motorola XTS 5000, XTS 3500, and XTS 3000 radios have several battery choices listed below that can be shipped to APO addresses. 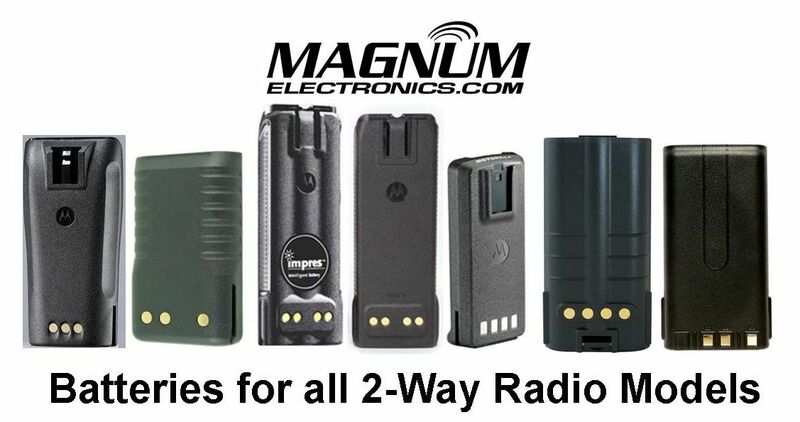 There are no batteries that can be shipped through the USPS at this time for any XPR 3000 or 7000 series radios. We carry batteries for other Motorola models and most radio brands. If you need help identifying a battery for your radio contact our office and we will recommend a replacement. 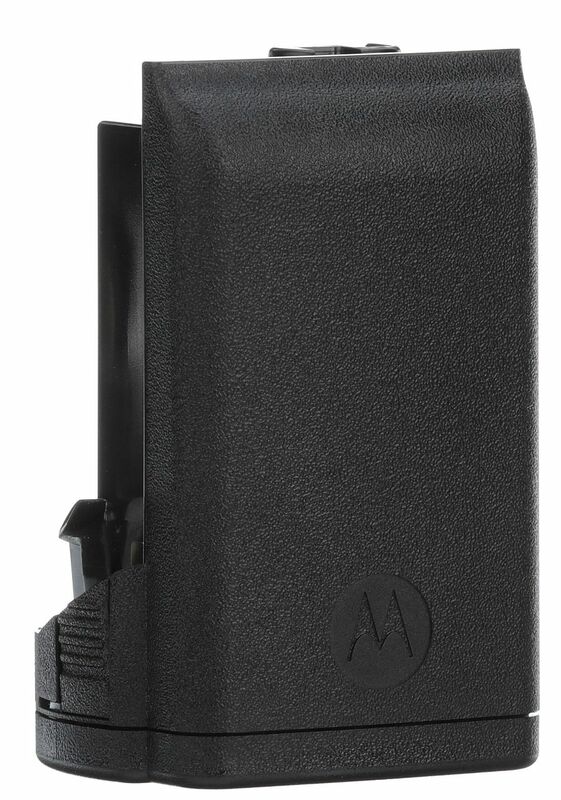 Boston Leather has designed a custom carrying case for each Motorola APX radio model including the option to use a strap or belt loop. Their standard cases are plain black full grain leather with silver hardware but almost anything is possible for custom orders. It is important to know which battery you are using on your APX 8000, 7000, and 6000 because a longer case is need for the high-capacity batteries. There are also 3 different APX configurations available. 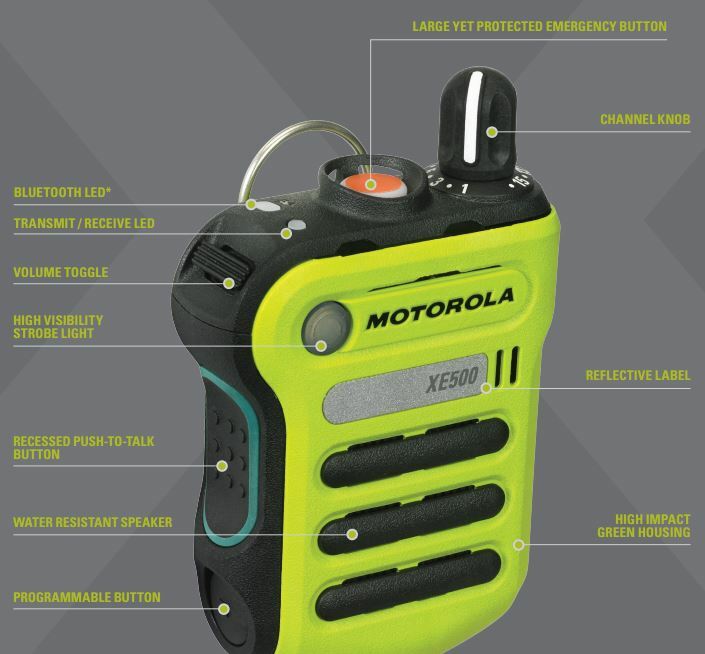 This article provides choices for each Motorola APX model radio when used by fire, ems, or law enforcement professionals. Motorola APX 1.5 models only have a top display. The 5611RC15-1 holder is compatible with standard batteries and the 5611RCXB-1 is for extended length high-capacity batteries. There is also the original 5618RCNW-1 that was designed for the APX 6000 Model 1.5. The 5481RC-1-E universal case is also a good choice if you want access to the top half of the radio. The model 2.5 has a top and side display with a limited keypad. The 5611RC-1 is designed for standard length batteries and has D-rings for a strap. The 5611-1 is the same case without the D-rings. 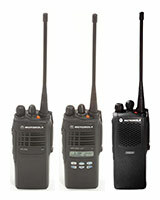 APX 6000/8000 Model 2.5 radios using extended batteries require the 5611RCXB25-1. If you prefer a radio holder that protects the side display choose the 5611RCNW-1. It has the sides open for larger audio connectors. The model 3.5 has a top and side display along with a full keypad. The 5611RC35-1 has a larger front cutout for access to the entire keypad and is compatible with standard size batteries. This case is also compatible with the SRX 2200 military radio. Extended battery users should choose the 5611RCNW-1 no window holder. 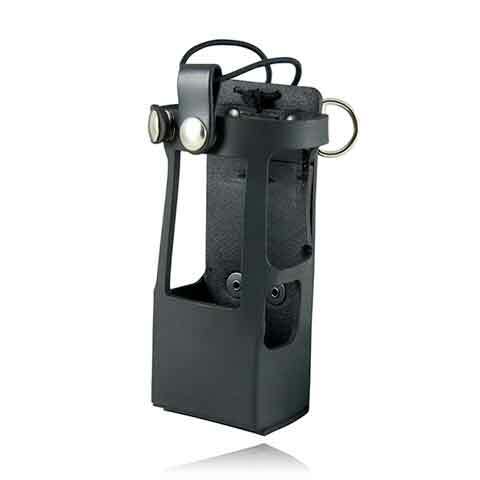 There are 3 Boston Leather radio holder choices for APX 7000 models.The standard holder for non-XE models with short batteries is the 5613RC-1. Rugged XE 1.5 models with standard batteries will need the 5612RC-1. There is also a custom holder for the APX 7000 with an extended battery. The 5613RCXB-1 has cutouts and custom designed for the model 3.5 with full keypad and side display. The 5701RC-1 is the recommended holder for the APX 4000. It includes cutouts for the display, full keypad, and microphone connector. This case can be worn on a duty belt and ordered without clips. There is also a slightly different design 5701RCHW-1 with a high window. Two-way radio users who use an audio accessory with an acoustic tube will benefit from a new ear tip from Earphone Connection. The FIN ULTRA AMBI is an improved design released at this year’s IWCE in Orlando. It is constructed with soft semi-translucent extra soft Silicone for all day comfort. It can be worn in either ear and the open skeleton design improves ambient listening. 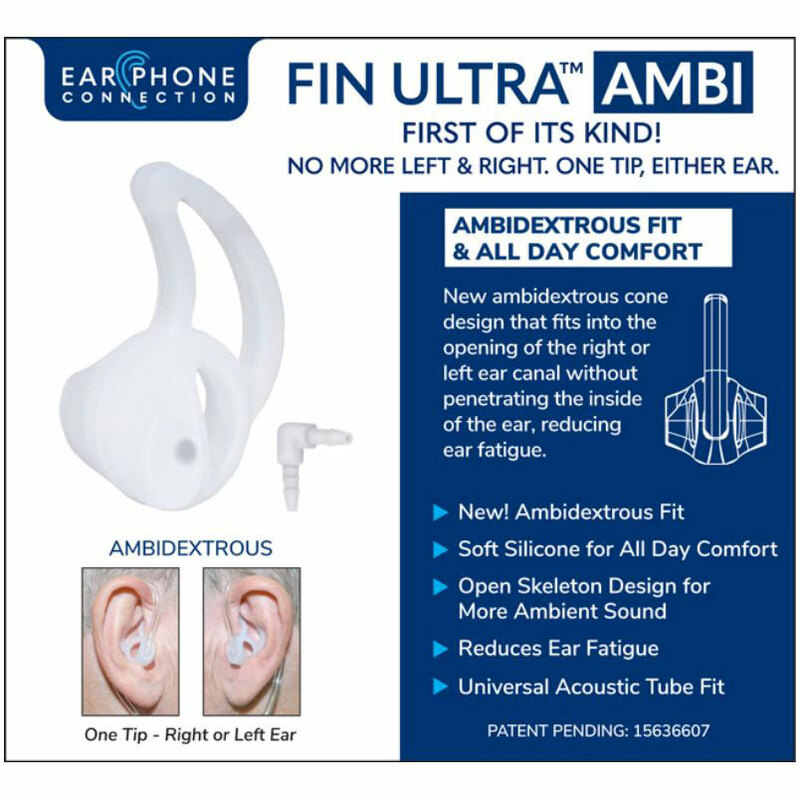 The FIN ULTRA AMBI is available in small, medium, and large. It can be ordered in clear or black. The original FIN ULTRA is still available at a lower price but must be used with the left or right ear only. 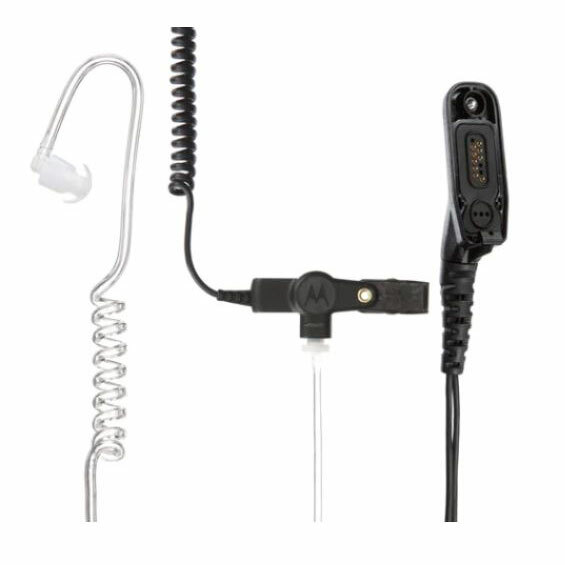 Earphone Connection is a leading manufacturer of two-way radio audio accessories including the Hawk used by many law enforcement agencies. For additional information about EPC and other Tactical Ear Gadget products visit our website or call our office at 302-734-9250 M-F 8-5pm EST. 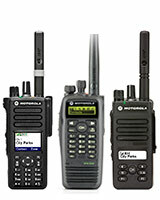 Motorola wireless accessories use a pod with APX, XTS, XPR, and SL 7000 series radios. The pod can be used as a stand-alone wireless push-to-talk (PTT) or power a surveillance kit, earbud, and also connect with the completely discreet earpiece. The pod has internal firmware that can be updated by the user to take advantage of the latest software release from Motorola. The NTN2571 mission-critical secure pod includes encryption for APX and XTS models and the NNTN8127 operations-critical pod is designed for MOTOTRBO DMR XPR and SL 7000 radios. Each pod as unique firmware that should be upgraded for improved battery life and performance. 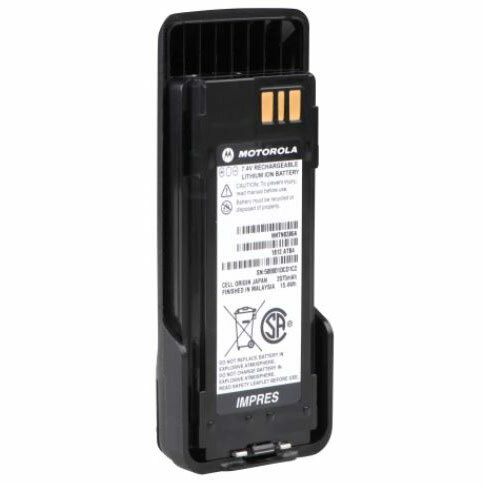 Motorola Solutions provides a Windows application to upgrade their wireless bluetooth accessories. The Accessory Programming Software tool is a free download and supports both pods. The install guide includes easy step-by-step instructions with computer screenshots. In addition to the programming tool, you will also need to download the latest pod firmware. The accessories below are compatible with either wireless pod. Some accessories require upgraded firmware if you have an older pod. Battery chemistry degrades after 24 months of use and can affect radio performance. Many intermittent radio problems are solved with a fresh battery. In this article we will show you how to check the age of your batteries and recommend the best replacement for the most popular Motorola radios. All Motorola batteries have a 4 digit date code on the battery label. The first 2 digits indicate the year manufactured and the second two digits identify the week. Check the date codes on your Motorola batteries to determine if you are ready for replacements. The date code on this example is highlighted in yellow. The date code, 1401, indicates 2014 and the first week of the year. Most IMPRES batteries carry an 18 month warranty to hold 80% of the capacity. In this example, the capacity is 1900 mAh. As capacity degrades, so does output power and talk time. You may find radios start to perform poorly at the end of the shift. The second generation IMPRES 2 PMNN4486 is our favorite for the APX 6000 and APX 7000 radios because it packs 3,400 mAh capacity in a small housing. For those who need maximum battery life, the IMPRES 2 PMNN4487 with 4,850 mAh is the best choice. All IMPRES 2 batteries have an improved 24 month warranty. The APX 4000 standard battery is the 1900 mAh NNTN8128 but we like the high-capacity 2,700 mAh PMMN4448. The IMPRES Li-ion NNTN6034 with 4,150 mAh capacity continues to outperform all other XTS 5000 batteries. The high-capacity 2700 mAh NNTN7335 IMPRES battery is the best choice for the XTS 2500, XTS 1500, and PR1500. The high-capacity PMNN4409 is the most popular battery for the XPR 3000 and 7000 series radios. The high-capacity PMNN4077 IMPRES battery is recommended when using XPR 6000 series radios with a Bluetooth adapter or in analog mode. The Motorola 2,190 mAh high-capacity NNTN4497CR is the standard battery that ships with a new CP200d. 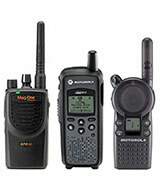 It is also the best choice for the legacy CP200 and PR400 radios. CP185 users should select the high-capacity 2,150 mAh PMNN4080 for the best performance. The PMNN4071 standard battery or the PMNN4075 high capacity Li-ion battery are the most popular choices for BPR40 radios. DTR650, 550, 410 digital radios will get 19 hours of typical operation with the high-capacity 53964. VL50 users should choose the 56557 battery. The IMPRES HNN4001 has 1,900 mAh capacity and automatic reconditioning technology when used with an IMPRES charger. It is compatible with HT750, HT1250, HT1550, and PR860 model radios. We also carry Vertex Standard OEM and Power Products batteries for Kenwood, HYT, Harris, Tait, Icom, and many other brands. Visit our online battery catalog and our online store for audio accessories, chargers, and carrying cases. 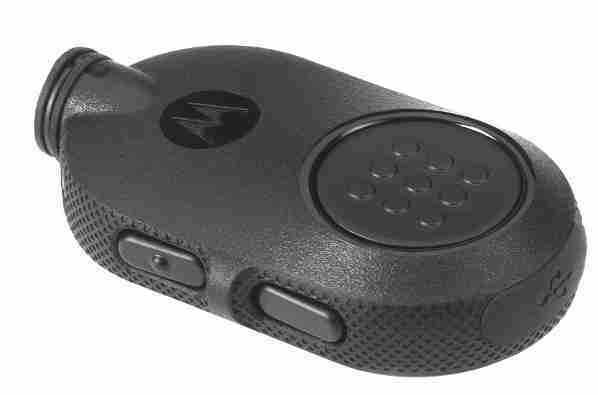 Motorola’s IMPRES XE rugged remote speaker-microphone (RSM) choices for extreme environments are designed for firefighters with APX 6000XE, APX 7000XE, and APX 8000XE P25 radios. 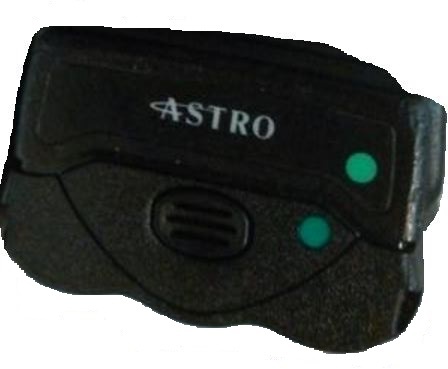 Available in black or high visibility green, they have a strobe light, orange emergency button, and clip with D-ring. Both the XE and XE-500 are rated IP68 for submersibility and carry an intrinsically-safe rating to match the APX radio certification. Both have a large volume toggle switch and are 50% louder than a XTS RSM. There is a reflective label on both styles for increased visibility. The APX XE was introduced about 5 years ago and is available in green (NNTN8575A) and black (NNTN8575ABLK). The XE500 started shipping last year with additional features. It has a channel knob and larger emergency button with embedded orange lighting. Noise suppression is improved and can pickup your voice when you can’t hear yourself talking. The heat resistant cable can withstand 500 degrees for 5 minutes without harm. The XE500 is intrinsically safe rated for UL-TIA4950 but does not have a FM certification. If your department uses intrinsically-safe APX radios, check to determine if you need FM or UL certified accessories. They are not interchangeable. The XE500 with channel knob is available in green (PMMN4106A) or black (PMMN4106ABLK). The XE500 is now available without a channel knob in high impact green (PMMN4107) and black (PMMN4107_BLK). Workers using communications devices in refineries, grain elevators, and fuel storage facilities need an intrinsically-safe certified 2-way radio. Hazardous locations, called HAZLOC, certified radios have a label to identify the NFPA 70 certifications for classifications and groups. Starting 2016, Motorola stopped shipping FM (Factory Mutual) certified radios and transitioned to UL (Underwriters Laboratories). It is important to know FM and UL TIA-4950 intrinsically-safe batteries are NOT interchangeable. Radios with a FM certification have a label with GREEN text and GREEN dot usually on the bottom of the radio. FM certified batteries have the same GREEN label and GREEN dot. In order to be certified, you need two dots with the same color. UL certified radios have a label with WHITE text and a WHITE dot. APX and XPR 7000 series intrinsically-safe radio fleets delivered before and after 1/1/16 need to make sure the batteries are correct. FM certified replacement batteries will continue to be available for a long time and are safe. Purchasing managers will need to know if FM or a UL replacement battery is required. 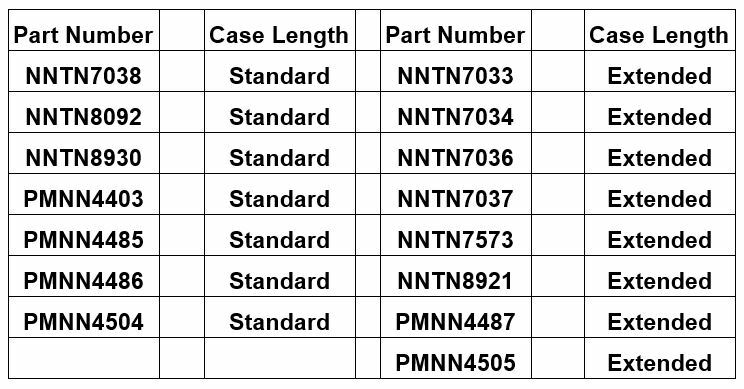 APX FM (green dot) batteries include NNTN7033, NNTN7035, NNTN7036, NNTN8092, and NNTN8129. APX UL TIA4950 HAZLOC (white dot) batteries are NNTN8921, NNTN8930, PMNN4504, PMNN4505, and NNTN8560. XPR 7000 FM (green dot) battery is the NNTN8129. The XPR 6000 series uses the PMNN4069. XPR 7000 UL TIA-4950 HAZLOC (white dot) battery is the NNTN8560. The XPR 7000e/3000e UL TIA-4950 HAZLOC battery is the PMNN4489.